To boost awareness and understanding of equity release and Key Retirement on a regional and local level and to drive new prospect engagement. To promote a series of local seminars that educate Key’s best potential prospects about how equity release could help them. Using data mining, we identified the areas and prospects with the highest potential, then ensured seminars were held in areas where Key had a strong local presence. 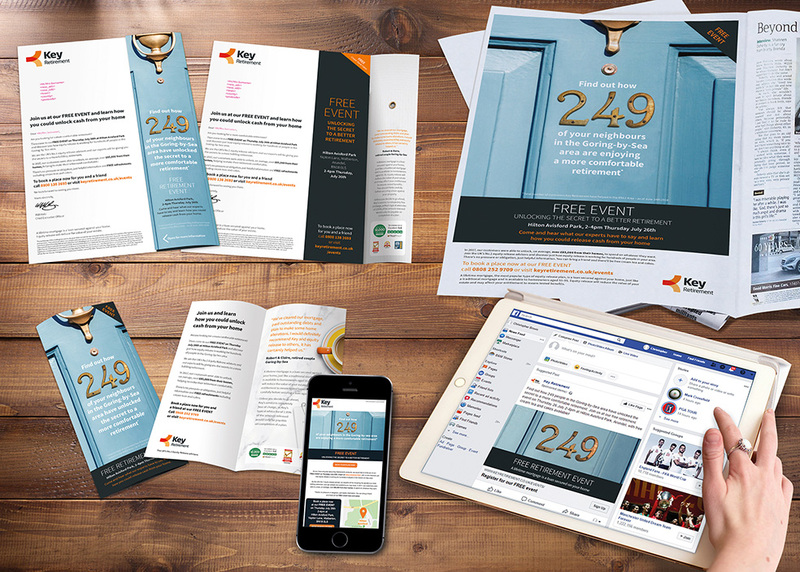 We then created a series of engaging, targeted activation comms across: DM, door drop, press, email and social to drive attendance to each event.